There are many people who say they love classical music, but not “that modern stuff.” What’s interesting is that some of “that modern stuff” is well over a hundred years old. Sometimes the term “modern” is just a stand-in for “unfamiliar,” and it’s true that some listeners have no appetite or patience for music that’s unfamiliar, and aren’t even willing to give it a try. That may be their loss… but then again we’re all entitled to stick to what we know and love. 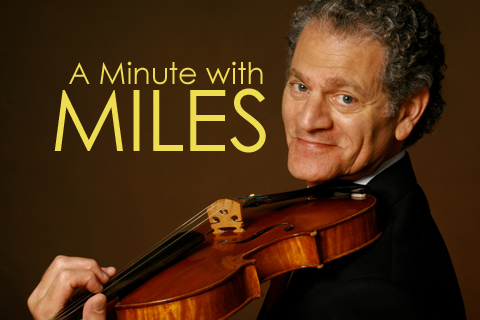 A Minute With Miles is production of South Carolina Public Radio. I think that more often, though, what people mean by “modern stuff” is simply music that doesn’t seem to make sense. It may make sense on paper, but it doesn’t make sense to the ear. And I’m afraid that there’s been too much of that kind of music foisted on the public over the past century, so that unfortunately the many contemporary composers who are writing good music often get lumped in with those who are writing “that modern stuff.” And that’s everybody’s loss.